What Are The Benefits Of Professional Waste Removal In Worthing? With waste management becoming one of the greatest global problems today, do you wish to dispose of rubbish effectively? Are you on the lookout for ways to discard your waste without making any impact on the environment? Why not hire a waste management company which specialises in offering comprehensive waste removal in Worthing? Trust us; seeking professional waste removal services can be very beneficial. Whether you need rubbish clearance for your office or home, hiring a waste removal company can be very beneficial for every property. With their years of experience in offering high-quality rubbish clearance services, experts can collect and dispose of all rubbish collected from your premises. Be it your need for full-house clearance or furniture removal and single items, experts have the skill to provide a range of waste removal services at competitive prices. Here’re a few great benefits of seeking professional removal services. Rubbish clearance is a time-consuming job which can be very stressful if you try to do it on your own. If you prefer to do it on your own, you will have to invest a lot of effort in the task and be careful to avoid injuries when lifting heavy items. Hiring a renowned waste management company can save you a significant amount of time and reduce the stress. What’s more, experts can collect your rubbish at a time convenient to you. One of the greatest benefits of hiring specialists is efficient disposal of waste as per the highest standards. Experts ensure that garbage is disposed of by using advanced equipment and right techniques to minimise its negative impact on the environment. From perishable stuff and daily stuff to electronic scraps and metal chunks, you may have a variety of rubbish. Remember; each garbage type needs to be disposed properly and this is a job which is best left to the specialists. Another great benefit of hiring a leading rubbish removal company is that they specialise in offering quick, prompt and reliable services. With their in-depth knowledge in providing waste clearance services, skilled experts can collect and dispose of garbage collected from your residential or commercial property. Moreover, by utilising advanced techniques, they can offer premium quality services at competitive prices with guaranteed satisfaction. Reputed garbage disposal companies ensure that the waste it collects is separated and disposed of properly as per the rules set by the government. For instance, it is important to discard the electronic and electrical waste in adherence to the WEEE rules. Experts even ensure that none of the waste collected is buried underground or dumped in landfills. This way, you can have the peace of mind that your rubbish will not have any negative impact on the environment. Now that you are aware of the great benefits, what are you still here for? Quickly approach a renowned waste management company and start benefiting from their exemplary services! What To Consider When Choosing A Rubbish Clearance Company? Do you wish to get rid of the unwanted junk and clutter effectively? Looking for experts who can dispose of your waste in an environmentally-friendly way? Hiring a reliable company which specialises in offering rubbish clearance in Worthing can be the key to ensure a pleasing environment for healthy living. Wondering how to choose a good rubbish removal company which can cater to your waste disposal needs? Relax. All you need to do is just follow a few useful tips to choose a professional rubbish clearance company. No matter whether you need residential or commercial junk removal services, rubbish removal experts can help in keeping your property clean. With their years of experience in offering high-quality work at reasonable rates, they can remove waste very quickly and effectively. Be it household junk, garden waste or garage clearance, experts specialise in offering a wide range of rubbish removal services. But, with every company claiming to be the ‘best’ in business, how do you make an informed choice? Here’re a few vital aspects you must keep in mind to choose the right rubbish removal company. Checking the reputation of the company is the foremost consideration to take into account when choosing a waste management company. For this, do thorough research on the internet about the local rubbish removal companies. You can even ask your friends, colleagues and families about reliable service providers in your area. This way, you can easily find out the name of companies which specialise in providing efficient rubbish clearance in Worthing. This is another vital factor you must keep in mind when choosing a junk removal company. To assess the quality of rubbish removal services provided by the company, you need to consider the time management, reliability and the range of services provided by the experts. Look for a company with a proven record of offering premium-quality services. Remember; you need to hire experts who provide quick and efficient services. Experts believe that the best way to assess the credibility of a company is by checking the feedback of past customers in online reviews and testimonials. Reputable junk removal companies have positive reviews, boast of high ratings and are highly recommended. While having 1 or 2 bad reviews is okay, ensure the company you are hiring doesn’t have too many reviews. Pricing is another vital factor you must keep in mind when choosing junk removal companies. Get quotes from at least three to four companies to get an idea of the offerings of various companies. Compare the estimates by looking at the quality and number of services offered at a certain price. Remember; you need to look for a company which offers professional rubbish clearance in Worthing at reasonable rates. Now that you are aware of the vital considerations, what are you still here for? It’s time you start benefiting from reliable rubbish removal services! Getting rid of the waste from your house and office premises as soon as possible is a must. The waste we generate generally comprises of household waste, garden waste and chemical waste. If you want to dispose of them safely and ethically, just get in touch with a reliable rubbish clearance company. Though there are numerous of them scattered all over Brighton and Worthing, it is your responsibility to look for someone experienced. The right service provider can help you save money in a wide variety of ways. Though getting rid of the rubbish from a property looks quite simple, it is actually not so. Your safety can get compromised, especially if you are dealing with chemical waste. Sometimes, sharp objects are not visible through naked eyes which can cause injury and infections. An experienced cleaner is aware of the correct equipment which helps them to remove these items safely. They even use suitable gloves, suits and masks. People often end up spending hours just to get rid of the junk from their house and office. This is definitely not cost effective and so you need to get in touch with professionals offering rubbish clearance in Worthing. They will visit your site as soon as possible and shoulder the entire responsibility of removing the garbage. This not only helps in saving your energy and time but even money. Attracting renters or buyers to a property filled with overgrown plants or excess items is not only complicated but almost impossible. This is primarily because they know that they have to do a lot of work to get rid of the waste. When you take the aid of professionals for rubbish clearance, your property becomes cleaner and its value increases. 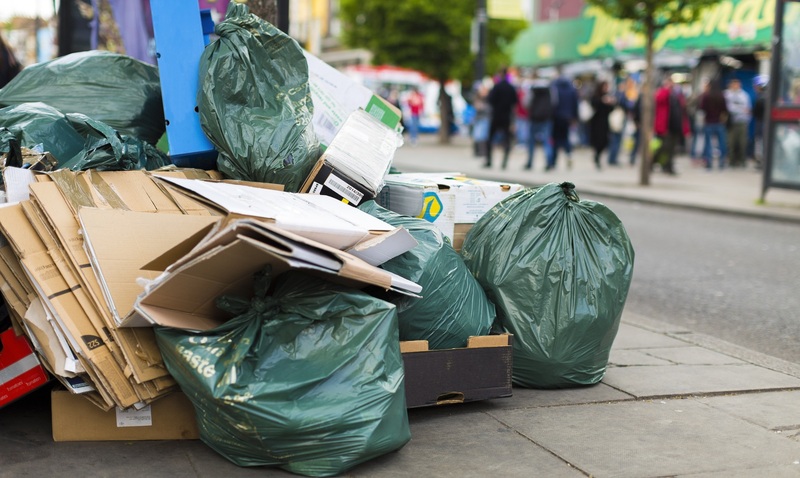 Every professional offering rubbish clearance in Brighton will agree to the fact that areas filled with a large amount of waste can easily attract pests like rats, mice and mosquitoes. These pests often become a headache for residents as they spread viruses which makes them sick. The teeth of a mouse are powerful enough to cause major damages to a property in the long run. Since waste removal companies offer quick services, you don’t have to worry about pests. There are a few situations when the waste generated in your home or office is a lot more than your expectations. This generally happens when you live with several family members. When the garbage piles up drastically, it becomes an eyesore in your property and the council might start charging hefty fines. The best alternative is to get in touch with professionals offering rubbish clearance services and you don’t have to worry about those council fines. Since there are so many ways how a rubbish clearance company can help you save money, it’s time you start looking for someone reliable in Brighton. What Are The Benefits Of Seeking Rubbish Clearance In Worthing? This is one of the greatest benefits of hiring a professional waste management company. Though most people are familiar with waste management, not everyone has the efficiency to implement it properly. Seeking the assistance of skilled experts who are knowledgeable in the techniques of junk removal is thus very beneficial. What’s more, these specialists even have the tools required for carrying out waste removal properly and efficiently. Regular waste collection and cleaning is essential for ensuring the health and well-being of your family members and employees. And for this, you will need the assistance of reliable waste disposal in your area. You will have to look for someone who can regularly come and provide prompt garbage removal services. Remember; employing trained experts can be the key to avail excellent waste management services. With everyone around having such a hectic schedule, gathering and disposing rubbish can be the most unproductive task one can ever think of. While you can focus on the more essential chores at your home, you can have your staff focus on other productive jobs at the office. Thus, it is always beneficial to hire professionals who collect the junk, load it onto their vehicle, transport it and dispose of. This makes rubbish clearance a cost-effective service which saves you significant time. Another great benefit of opting for rubbish clearance in Worthing is that they help you in making a significant contribution in reducing the impact on the environment. At a time when there is a rising awareness about tackling waste, seeking professional waste disposal services can be a great step towards recycling, reusing and throwing away all the garbage. This means that seeking professional help can help you achieve zero waste targets. There are numerous kinds of garbage which exist in residential and commercial settings. With little or no knowledge of junk, it may be very difficult for you to know if a material is hazardous or not. Imagine your employees trying to remove dangerous materials at your office without utilising any protective gear. Hiring a reputed waste management company can thus be very beneficial. Time to approach a leading waste management company! Getting rid of the excess rubbish from your residential or commercial property is a lot more complicated than you think and this is why the demand for the services offered by renowned rubbish removal companies has enhanced drastically in the last few years. They ensure that your home environment is both clean and hygienic. They know how to dispose of the waste efficiently and environmentally. 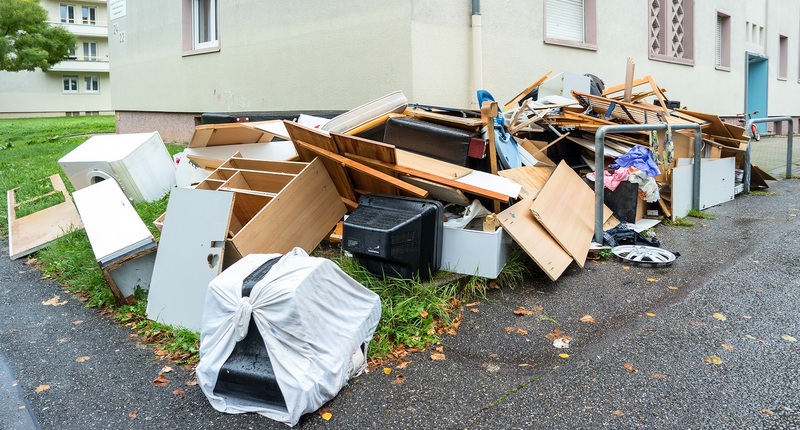 Since the services offered by a rubbish removal company is so important, it is completely your responsibility to ensure that the one you are approaching has a track record of helping people in Brighton get rid of the waste from their property efficiently. There are numerous service providers scattered all over the city which makes it hard for the people to choose someone capable. The best you can do is to look for the top qualities indicating that the company you are approaching is indeed reliable. Since the company shoulders the entire responsibility of your unique rubbish removal needs, they also need to ensure that the work is carried out fast and on-time. If they are taking more than 2 days to provide the service after you have made the request, it’s time you start looking for another company offering fast and reliable rubbish clearance in Worthing. Not only should the company you have approached help you get rid of the waste from your house but also dispose of those in an environmentally friendly way. They should take all the waste to the landfill so that they don’t have any negative impact on the environmental. They should also know how to recycle waste as it is considered to be a vital part of every waste management strategy. Considering the experience of the company offering rubbish removal in Brighton is a must as you will get an idea about the quality of services you will receive. Even if they don’t have prior experience in handling large waste removal projects, feel free to approach them after considering their reputation and checking the feedbacks or clients’ testimonials on their website. 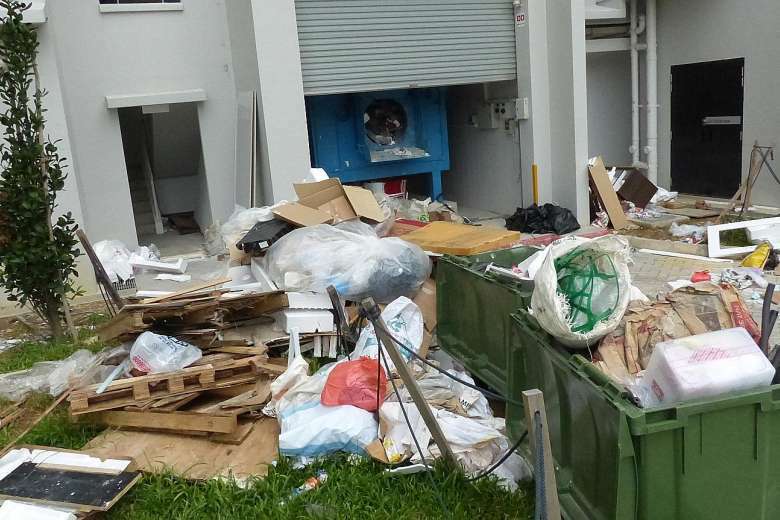 If the company you have approached for rubbish removal services is charging a bit more than the average companies, check whether the quality of the services is worth it. It is always advisable to look for one offering a wide variety of packages so that you can choose one according to your budget. Gather free quotes from a few of them before finalising one. Don’t forget to ask them the services included in the package you are opting for. Now you have read all the things to look for when searching for a professional rubbish removal company, it’s time to make the call.